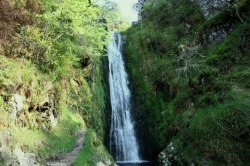 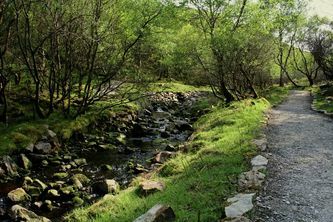 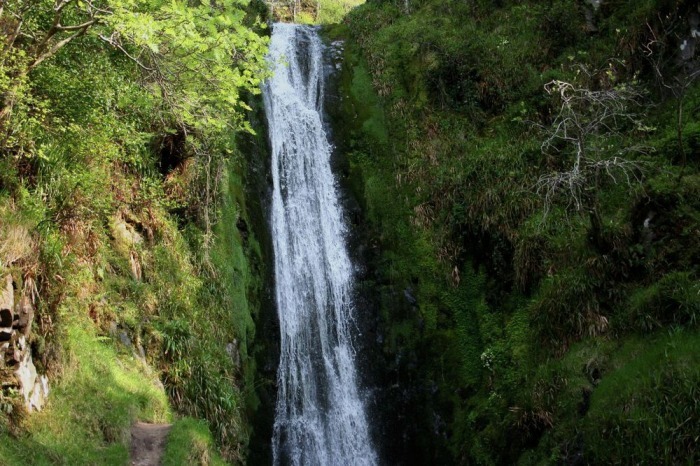 Glenevin Waterfall is about 2km/1+mile from Clonmany on the Inishowen peninsula. 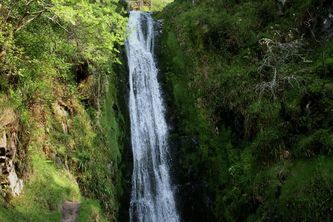 The waterfall, which falls 30's to a small stream below, is approached by a woodland pathway from the main road. 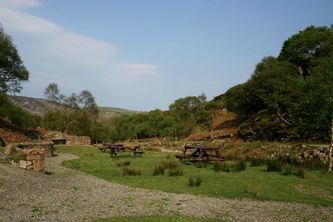 At the start of the path there is a pretty picnic area after which the path meananders alongside a little stream all the way to the waterfall.